With 80% of all traffic on the Internet referred by search engines, and 90% of all users don't even look past the first 30 search results; you can see why search engines have become the single most important source of traffic for websites. - Let us help you drive that traffic to your website! Does your business have a website, are you on Facebook, Twitter etc? Do you want to get the most out of your website and online presence? Do you want people to get to your website first every time when searching for your business or the services or products your offer? Let us help you OPTIMIZE your online effort using industry standard methods to increase your page rankings, traffic to your website and ultimately people calling you because they found your website before they found your competition. 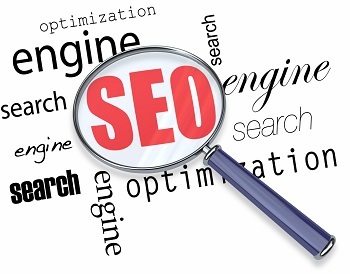 You should be aware that SEO is a time consuming and ongoing process. This is because search engines constantly update their search algorithm in order to present the most relevant results, you'll need to be adaptable to these changes and know how to keep your site on top of the search results. Want to keep up to date on the latest buzz about SEO but don't have the time to trudge through hours of dense material? Stay tuned to our blog, Twitter, and Facebook page for the latest on how to stay on top of the search results.